Does your contractor in Creemore, Collingwood, The Blue Mountains, Thornbury or Wasaga Beach measure up? The critical factor in a successful building project is selecting the right contractor. Click here to view our Guild Quality profile and see what our clients think of Village Builders. 1. Show proof that the contractor has at least $5 million in liability insurance to protect you and your home from possible damage or accidents. 2. Show proof by way of a “Clearance Certificate” that the contractor’s labour force is covered by the Workplace Safety Insurance Board (WSIB). 3. Is the contractor a member of a local Home Builder’s Association? 4. It is illegal for a contractor in Ontario to build a home if the contractor is not a registered builder under the TARION Warranty Program. 5. What length of time that a contractor has been in business? It only makes sense that you would want an experienced builder working on your home. 6. Is your contractor up to date with respect to the latest energy efficient methods of building? 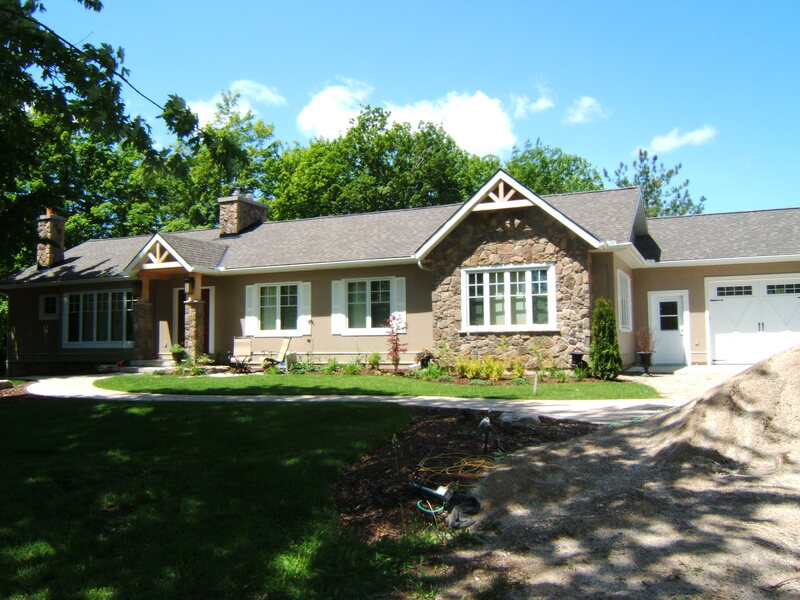 Ask the contractor about the Insulated Concrete Forms (ICF) or Structural Insulated Panels (SIP) to name a few. 7. Is the contractor familiar with building practices that look into the prevention of mold growing in your home or the ventilation of roofs to prevent the buildup of ice on your eaves? 8. Many contractors have no employees of their own that actually do the work on your home. They only utilize subcontractors. Do these contractors have your best interest at heart, or are they only interested in getting the job done quickly? 9. Will your contractor supply you with a list of references that you may call? 10. Does your contractor provide an unconditional two year warranty on their workmanship?